Wine prepares hearts and makes them more ready for passion. Officially approved as DOC since 1970, the Controlled Designation of Origin guaranteed the “Barbera d’Asti” which was established in 2008 and is reserved to red wines in the following typology: “Barbera d’Asti” and “Barbera d’Asti” Superiore. These areas of production can be found in the provinces of Asti and Alessandria. The red wine grape variety almost certainly originally from Montferrat is the most cultivated of the region and represents about 30% of Piedmonts’ vineyards. The origins of this grape are very old, even going back as far as the Middle Ages. However, the first documents that bear witness to this only date back to a few centuries ago. In fact, the first formal trace of Barbera are found in documents dating back to the 17th century which are preserved in the Nice Montferrat Municipality. Official mention is made only in 1798 at the first ampelography of vines that are cultivated in the Piedmont territory, this was accomplished by Count Nuvolose, Deputy Director of the Agricultural Society of Turin. “Powerful wine, still quite sharp but rich with an exquisite perfume and a flavour that combines strength with finesse” , the Barbera is one of the most noted and appreciated in all of Italy for the generosity of its alcoholic characteristics. A medium late-maturing grape, it is collected between the end of September and half of October. It is fermented mostly in its purity, but is versatile and allows to obtain very different styles and interpretations of wines able to guarantee excellent evolution over time. Its first poetic bard was Giosuè Carducci who wrote the “Generous Barbera” (“Generosa Barbera”), capable of making the person who drinks it feel strong. 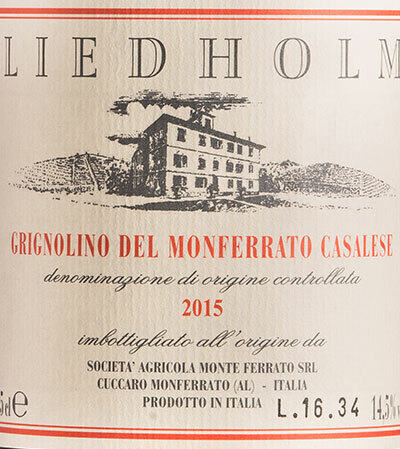 More recently, Cesare Pavese wrote about this wine in one of his letters defining it as “… legendary”. Known since the Middle Ages as Barbesino, the name could have also been derived from grignòle, expression in Asti dialect used to indicate the seeds that are very numerous in the grape. Some of the synonyms with which it is also known as are: Barbesino, Nebbiolo Rosato, Barbesinone, Rossetto, Verbesino, Balestra, Arlandino, Girondino and Girodino. Piedmontism dialect, its origin and its actual location is among the Asti and Alessandrian (Montferrato Casalese) hills, but it’s also sporadically present in some areas of the province of Cuneo and Oltrepò Pavese. It’s a niche wine, little known beyond the region, except for its taste characteristics and its versatility as a table wine, it’s an object of tenacious attraction. It’s the footprint of this territory and the pride of those who still cultivate it. At the beginning of the 1900’s it is considered one of the principal Piedmont grapes. Its prices can reach as high as those for Barolo and Barbaresco. It was because of this delicacy that caused a strong decrease in the cultivated areas with Grignolino. 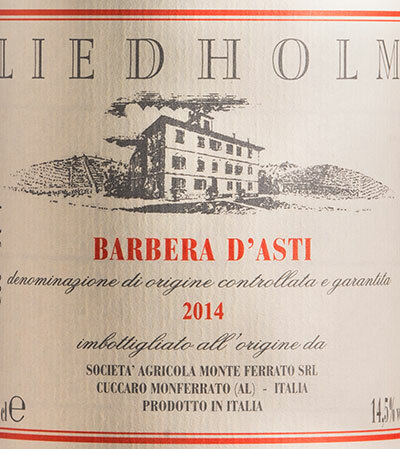 “ It does not have the same quantative yield as the Barbera”, “It is subject to diseases”, “It requires a lot of care in the vineyards and in the wine cellar”. “If the vintage isn’t good, the product obtained is unrecoverable and unusable”, “It is a difficult wine to understand.” These are things repeatedly said by many Asti and Alessandrian wineries, justifying the reduction of the areas dedicated to this grape. The vigour of Grignolino is therefore average good and it has a good but inconsistent productivity. The grapes have a medium late maturation reaching its peak around the beginning of October. It’s a wine with distinct personality, not always obliging. It’s the wine of passion! Those who visit Montferrat cannot go away without having sought it! Its long history, its importance for the heritage of Piedmont wine, the close ties between Asti and Alessandrian territories, allow Grignolino to obtain the DOC, Controlled Designation of Origin. This official recognition encourages winegrowers to increase cultivation of this difficult, delicate and “gentleman’s” grape again instead of other more resilient and higher yield grapes. Asti and Casale are two geographic areas known as the land of Grignolino. These areas are contiguous and are both part of Montferrat. Each of them are related to a specific denomination of origin: “Grignolino d’Asti” and “Grignolino del Monferrato Casalese”. In these two denominations, obtained respectfully in 1973 and in 1974, Grignolino is vinified alone or with up to 10% of Freisa. The grape bunches have a medium-large dimension with forms tending to be pyramidal, while the grapes which are medium-small and tend to be elliptical. The grapevine, scarcely resistant to disease (they only tolerate blight), prefers sun exposure and dry sandy soil. To understand it fully you need to taste it in its purity: bizarre, cantankerous, anarchist and individualist.